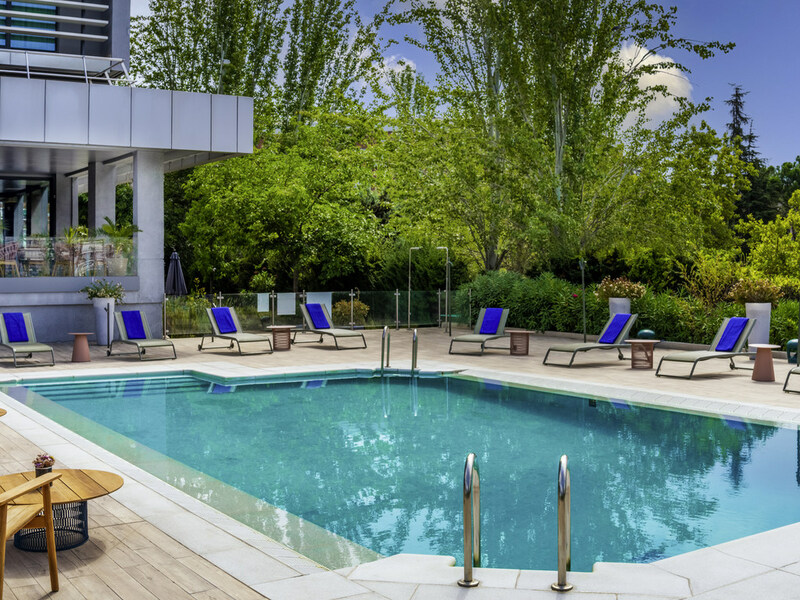 The hotel Novotel Madrid Puente de la Paz, located in the heart of one of the major residential and business areas of the city, is the perfect hotel for a business stay or to explore Madrid for a weekend. The hotel has many meeting rooms, up to 260 attendees. Direct bus and subway lines bring visitors to the city centre of Madrid and attractions like the Prado Museum, Royal Palace and Buen Retiro Park within 20 minutes. Dining options include our Novotel Claravia Restaurant. The hotel is a good but simple 4 star hotel. Service is kind and efficient but could be expanded. Little to no personal interaction on check in and out. I wasn't even asked if I would like to leave my credit card details so I could charge things to the room. So this wasn't possible. Furthermore, the bar and restaurant are uninspired, the food is good, but the atmosphere is lacking. Service was good. I would only recommend going to this hotel, when on business and no real service is necessary. Staff is great, breakfast is very good and room comfortable and clean but... right in front of the elevator, it was TOO NOISY !!! Almost didn't sleep, this is a really bad idea to have rooms so close to the elevator. The hotel was close to my business location. Nice clean hotel. Friendly and helpful staff. Nice room, but not being from the country I had a lot of trouble trying to operate the shower over bath. Lovely pool and bar area etc. My only downside its a bit far from central city which requires some walking and a couple of trains to get there. Very good breakfast friendly staff. we got latte checkout with no problems. Thanks Sam and Lee W..
For the first night we got a room nearby the elevator, which was very noisy. The reception solved it swiftly next morning and we got another quiet room. The hotel is otherwise recommended. Good Novotel standard, but the rooms nearby the elevator are not recommended.